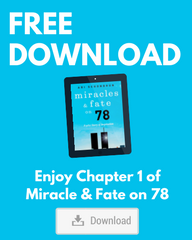 Schonbrun, the author of “Miracle & Fate on 78” spoke at the annual Village of Cedarhurst 9/11 memorial at Andrew J. Parise Cedarhurst Park on Sept. 10. He recounted his story of how being late for work that day saved his life, how he helped his badly burned co-worker climb down 78 stories in the north tower of the World Trade Center, and how her refusal to let him go back in to help saved him from the building’s collapse. Schachter also thanked the military for their service and stressed the importance of standing together against hatred, terror and bigotry. 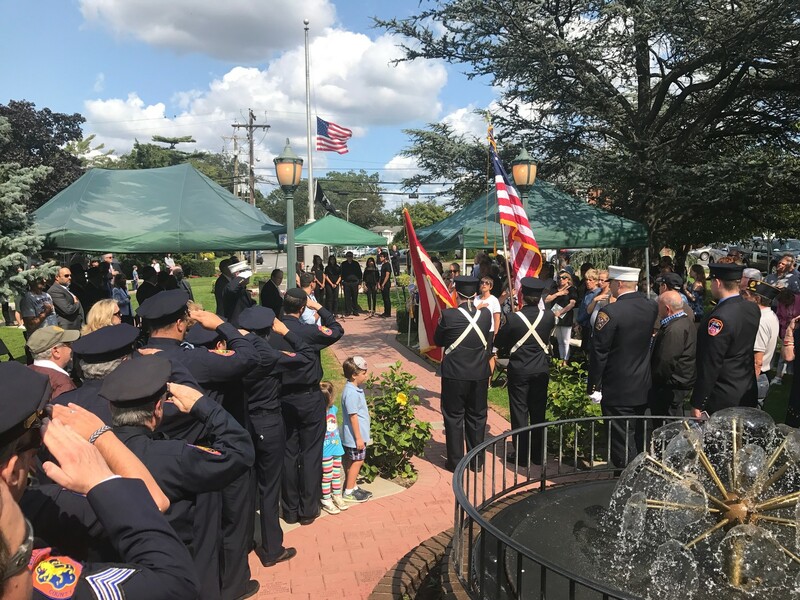 Cedarhurst Mayor Benjamin Weinstock led the reading of the 9/11 granite markers which line the walkway to the park’s memorial fountain and describe that day’s events. Trustees Ron Lanzilotta, Ari Brown, Myrna Zisman and Israel Wasser recited the messages, each of which were punctuated with a single toll of a bell. A moment of silence and a rendition of “Taps” was preceded by Lawrence-Cedarhurst Fire Department Chief David Campbell reading the names of seven local residents who were killed that day. Several military veterans also led the LCFD around the memorial fountain with the American and LCFD flags. An emergency call caused most members to leave the ceremony before it ended. Sirens sounded as fire trucks raced down Cedarhurst Avenue as Weinstock ended the ceremony. “As we all know saving a life trumps everything,” he said, after being interrupted by the roar of a fire engine.